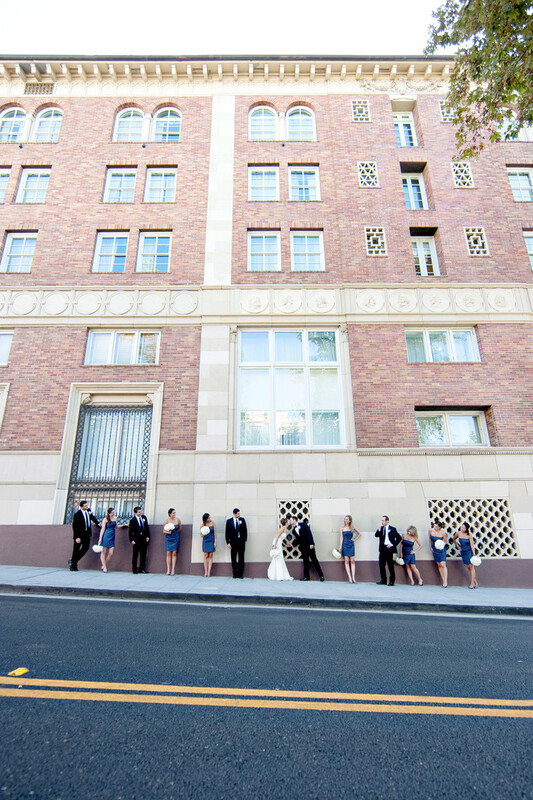 This cool bridal party scene is set in the trendy coastal city of Santa Monica CA. The beautiful facade of the Casa del Mar hotel provides the backdrop. Visually I also really like the double-yellow line at the bottom of the image.